Just popping in with a shop update for the Mossy Meadow. 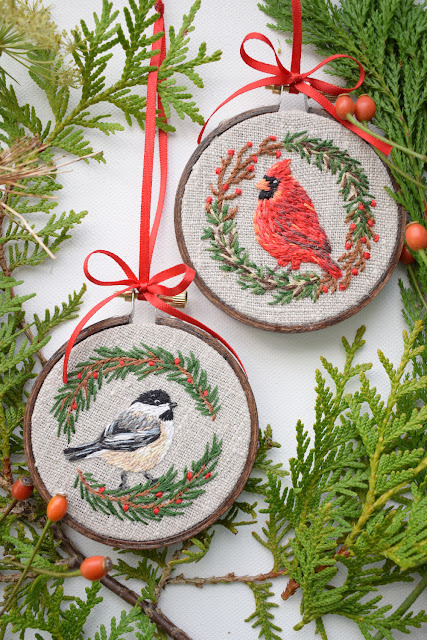 I found this beautiful dark green linen and it makes a lovely backdrop for nature inspired embroideries. 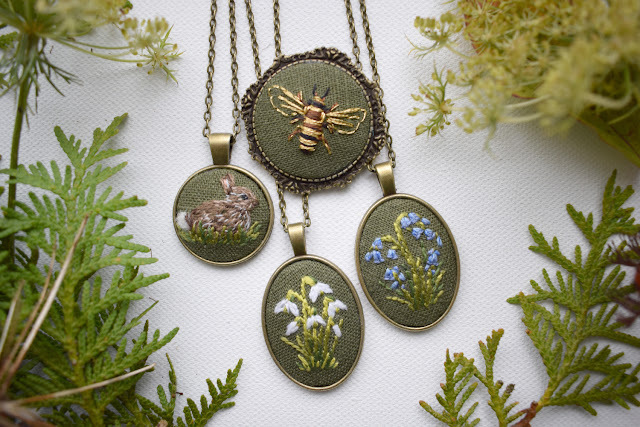 Snowdrops, Bluebells, a wild bunny and a golden bee are what came into my imagination this time, so I went with it! The golden bee is a brooch and it was my first time using metallic thread, I love the effect it gives. 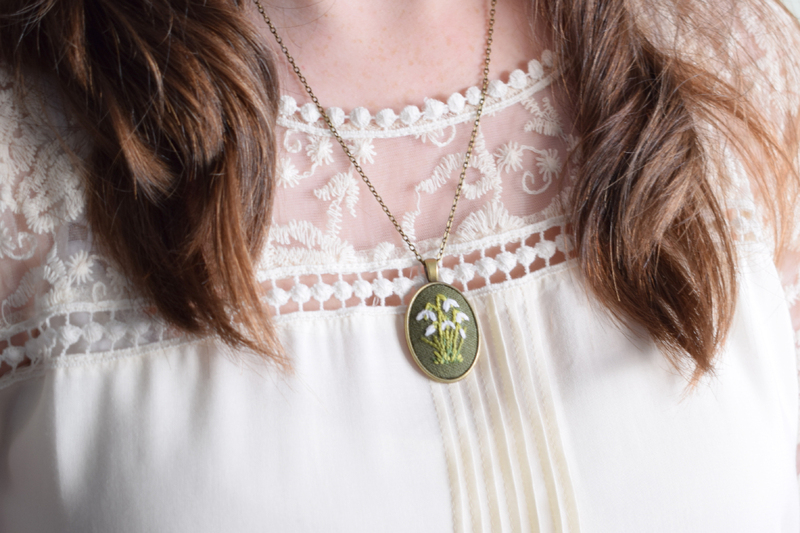 Just to give you an idea of size and how the pendants look on here's a photo of me wearing the Snowdrops pendant! 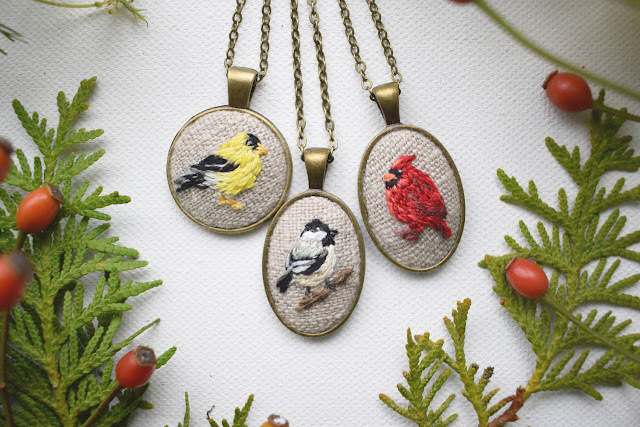 I added some new birds to my collection (they are a constant source of inspiration) this time I studied some American birds, the American Goldfinch, Chickadee and the beautiful Cardinal (I wish we had those here!). I also made some more detailed, larger bird embroideries in the form of Christmas ornaments, I love how they turned out even though they took a long time to make! 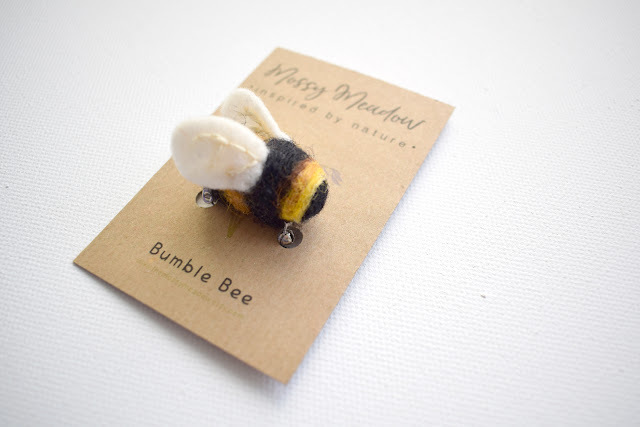 I also added some more needle felted items, including this little Bumble Bee pin/brooch, I never get tired of bees! 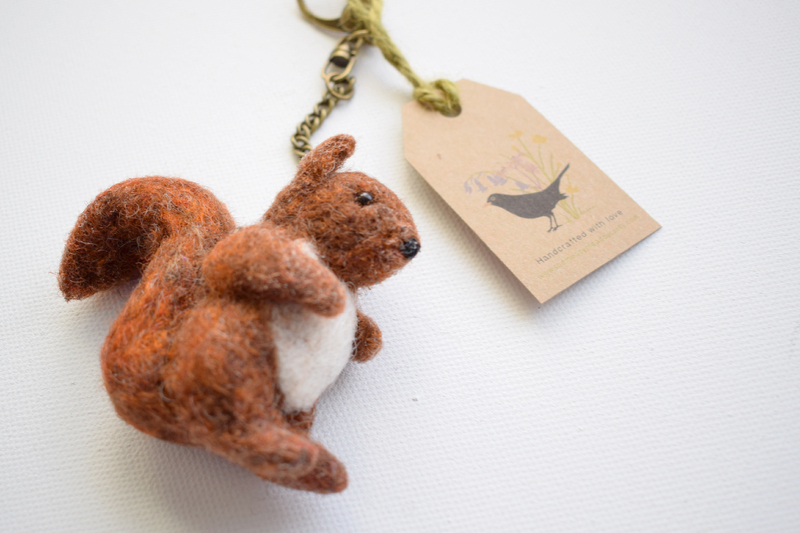 And a cute little Red Squirrel bag charm, he turned out quite big so he'll make quite a statement on a bag! But that's good if you love squirrels! Lastly I made a few painted Christmas ornaments. 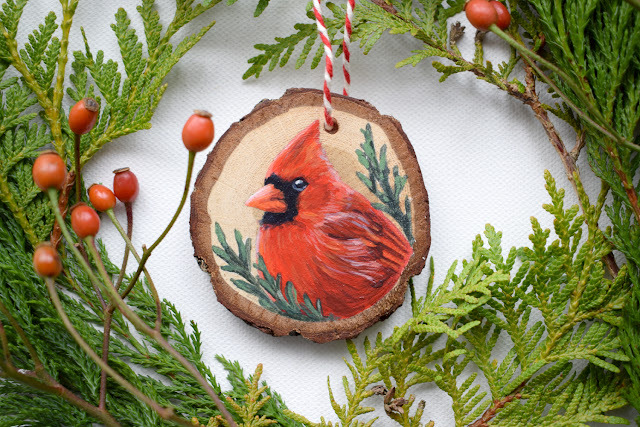 They're painted using acrylics onto wooden slices, I love the texture and feel of the wood. Pop over to the Mossy Meadow if you'd like to see more of what I've been making! Thanks for all the support, I'm grateful to be able to do what I love and share it with world. I hope it inspires you on your own creative journey. Have a lovely Thanksgiving and enjoy the holidays!